The Los Angeles County Board of Supervisors recognizes the public’s concern about privacy on the internet. This privacy statement establishes how information gathered about you from your visit to our website will be used by this website’s operators. 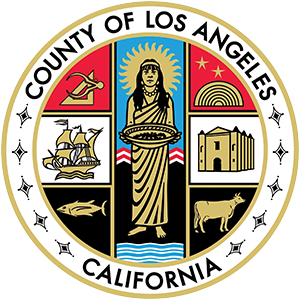 As a visitor, however, you should be aware that much information submitted to Los Angeles County is public information under the laws of the State of California. Under some circumstances, we may be required to disclose such information in accordance with the California Public Records Act or other legal requirements. We may collect and store information for statistical purposes. For example, we may count the number of visitors to the different sections of our site to help us make them more useful. The information collected may include such items as the name and domain of the host from which you access the internet, the Internet Protocol (IP) address of the computer you are using, or your browser software and operating system. This information does not identify you personally. By sending us an electronic mail message, you may be sending us personal information (i.e., your name, address, email address, etc.). We may store the name and address of the email sender in order to respond to the request or otherwise resolve the subject matter of your email. The websites of some County departments or agencies may ask visitors requesting specific information to fill out a registration form. For example, vendors requesting access to Requests for Bids or Requests for Proposals, or homeowners or businesses requesting Permits, may be asked to provide their names, addresses, email addresses and other pertinent information to ensure we can process and deliver the information requested. Other information may be collected at these sites through questionnaires, feedback forms, or other means, to enable us to determine a visitor’s interests, with the goal of providing better service.